Give the gift of an AARCH membership and help introduce individuals and families to the benefits of preservation in our communities. This is the gift that will continue to give. 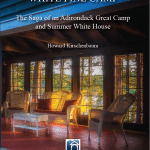 Gift recipients receive a welcome letter introducing them to the organization and a complimentary, full color, 48 page Visitor’s Guide to Camp Santanoni, Adirondack Great Camp and National Historic Landmark. We will include a gift card with your message, please enter it in the form after selecting a membership level during check-out. 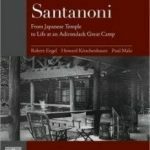 (Patron Level +) receive 2 tickets to a special AARCH event. 2015 details coming soon.